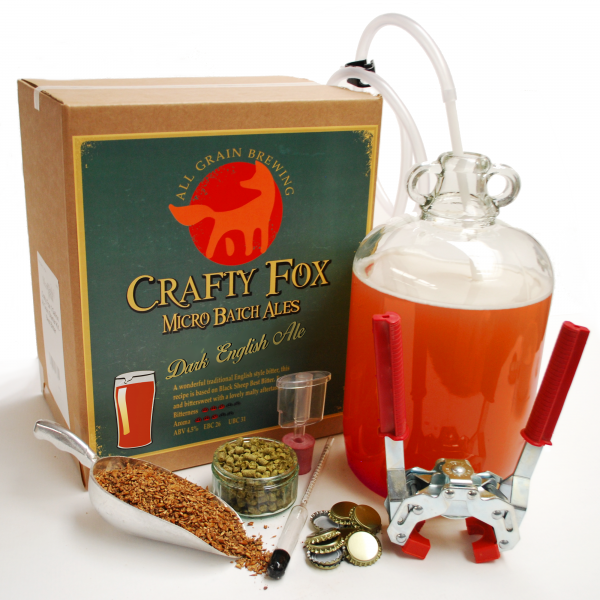 Want to buy your home brew stuff for less? 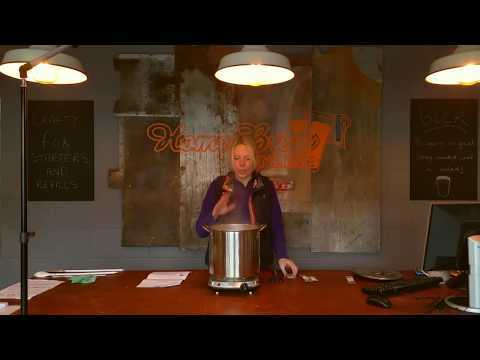 Cloudy brews and sediment can be a common issue for the home brewer, but there are various things which can be done to help with both. A brew does need some yeast suspended within the liquid to help with secondary fermentation and it is this yeast which works with the priming sugar to ferment. It is this secondary fermentation which makes a brew carbonated and produces CO2 which then pressurises bottles or a barrel. - Positioning - Your fermenting vessel should be positioned on a flat surface which is free from movement or vibration, ideally out of the way where it will not be knocked or disturbed, and out of direct sunlight. - Little Bottler - If you don't already, when filling bottles try using a 'little bottler' to fill them, by far the best way to reduce sediment is not to disturb it when filling bottles, and this is ideal; http://www.home-brew-online.com/equipment-c40/fermenting-c42/little-bottler-p669 This can also be used in conjunction with a two stage vessel process, ferment as usual in the first vessel, then syphon over into a second vessel without disturbing the sediment which already has a little bottler attached , and then leave it to stand for another couple of days, so the sediment again settles and leaves the brew clearer. By doing it in 2 stages you have effectively left the sediment behind twice. We have a vessel which comes pre-drilled complete with a little bottler which is ideal; http://www.home-brew-online.com/equipment-c40/fermenting-c42/fermenting-vessel-25-ltr-including-little-bottler-plain-lid-p800 If using a barrel, then simply syphon from your first standard vessel to the second, leave to stand for a couple of days, then carefully syphon again straight in to your barrel. An advantage of upgrading the yeast is that if sediment then does settle in your bottles it will often not disturb as easily when you pour as the better quality yeasts really bind together at the bottom of the bottles and are not as easily disturbed. Any of these will help, or a combination of any of them, but just bear in mind that the secondary fermentation in the bottles does need a little yeast suspended in the brew to work on the priming sugar you add to each bottle or the barrel, so by removing more sediment and making the brew clearer, it can mean that the secondary fermentation takes longer. By using a second vessel and an upgraded yeast and also carefully syphoning and using a little bottler, we end up with bottles of brew with literally next to no sediment, but they do take longer to carbonate. It is best to try and keep the bottles upright for 24 hours before pouring if possible, and pour the brew into a glass with one smooth pouring action to minimise any disturbance. - Chill Haze - A chill haze is not to be confused with cloudy brews, it can sometimes develop when a brew is chilled down in a fridge, etc, and will sometimes clear again when the brew is warmed back up. It is due to haze-producing proteins and polyphenols suspended in the brew, when the brew is chilled they react and clump together into tiny particles which reflect the light, making the brew look hazy. Whilst it doesn't look great, it in no way affects the taste and is not a problem. Allowing the brew to stand so it settles may help, but there is little that can be done about it. (scroll to the top) 8 - Prime the brew - this is simply adding a little sugar to help carbonate the brew and is referred to as 'secondary fermentation'. You can add some sugar to the barrel, or if using bottles instead of sugar 'carbonation drops' are a simple way of priming them instead, either is OK - pop one or two in each 500ml bottle, depending how fizzy you want it, or double the dose if using one litre bottles, etc. It is not critical and can be increased or decreased to your own preference, again there is no right or wrong, but we wouldn't recommend adding more than 2 to a 500ml bottle to begin with, as too much pressure may build up. 10 - Drinking - you don't need any hints or tips with this do you?! Well no, but one thing to bear in mind with the pressure barrels/kegs is that as the brew goes down and it is consumed, the beer that has been dispensed needs to be replaced with something, and the barrel will try and draw air in through the tap as you pour the beer out to take it's place. If you are drinking it fairly slowly then the beer can re-pressurise the barrel itself as it continues to carbonate, but if you drink a lot in a short space of time, then it doesn't get chance to re-pressurise. If air is drawn in through the tap it can then reduce the shelf-life of the beer, much in the same way as leaving a pint out on the side would go stale. The way around this is to use an injector cap with CO2 bulbs to inject additional CO2 into the barrel to keep the air out, and help keep the pressure up so the brew dispenses out quickly when you open the tap. Some brews need none, some need a couple of CO2 bulbs per batch, it varies depending on things such as the brew, the temperature, the sugar added, how quickly it is consumed, etc. If using the CO2 bulbs, as it gets slow, add one CO2 bulb at a time and then again later if needed. Some kits (such as our Woodfordes starter kits) come with this injector valve and bulbs included, others you may need to upgrade and add one if the carbonation is a problem. A common mis-conception is that by adding CO2 into the barrel with the CO2 bulbs increases carbonation of the beer, but whilst it increases the pressure which can make it froth more as it comes out of the tap it doesn't actually make the beer or lager much fizzier. The carbonation of the beer or lager is generally determined by the amount of priming sugar added when bottling or filling the barrel. This can also be improved by using brewing sugar or ideally 'brew enhancers' instead of ordinary sugar in the brewing process, they are designed to improve head retention, body, mouth feel and flavour of the finished brew. Perhaps you didn't know as much about drinking it as you thought?! With careful research, help and knowledge from professional brewers, Festival Premium Ale Kits enable you to recreate examples of some of the UK’s best loved beers, all within the comfort of your own home. Festival Premium Ale Kits use only the very highest quality liquid malt extracts (3kg per kit) and genuine brewer’s yeast strains (all individually suited to each style of beer). Festival Premium Ale Kits also contain hop pellets and priming sugar. The hop pellets are simply added halfway through fermentation infusing flavour and aroma into the finished beer resulting in a beer with more hop character than ever before. The precisely measured addition of priming sugar ensures the correct level of carbonation is achieved for each particular style of beer. Each kit contains only the finest quality ingredients and easy to follow step-by-step instructions (Each kit makes 40 pints) making Festival Premium Ale Kits the UK’s most comprehensive and complete premium liquid malt extract beer kit ever produced! Now in stock are the range of SIMPLY beer kits, which include all the usual favourites, beers, lager and stout, and also a new ginger beer which is sure to be a rival for the Coopers version. The kits come in a pouch complete with the required yeast, and have been added to our range of starter kits too. The kits can be brewed with 1kg of sugar, but for the best results it is better to use a 1kg enhancer instead. Some kits are moving over to the pouches which helps with keeping costs down, and this range is sure to be a popular one. The good news is that this range also has a ginger beer, which is sure to be a rival to our popular Coopers version. The Simply ginger beer is more expensive than the Coopers version, but you get a lot more ingredients, almost double, we will be announcing the results of our test batch of this as soon as it is ready. We also have quite a few of the Simply kits on test here which will be ready soon, and we will post the results asap.